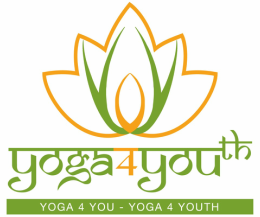 ​Yoga 4 Youth typically offers the vinyasa style of yoga which focuses on synchronizing yoga postures with breathing so that the mind becomes focused and centered, while the body becomes flexible and strong. It is a fluid practice, incorporating pranayama (breathing exercises) and flow sequences of asanas (postures) so that the class becomes a moving meditation. Asanas are woven together in order to facilitate an energetic, balanced practice that strengthens the body and mind and awakens the spirit. The classes always end with restorative poses and deep relaxation so body and mind can assimilate and integrate the increased vital energy flow that was enhanced during class. What to expect: The style allows for a lot of variety but usually includes sun salutations, and one can always expect movement, not just stretching. Some classes may focus more on alignment while others more on strength, flow or flexibility. While we follow a basic structure, there is an endless variety of asanas and sequences that may be part of a typical vinyasa class. Our classes celebrate life and focus on the very essence of who we are by playing, relaxing, releasing, and increasing our energy. Our tweens, teens and children’s classes are designed to introduce teens and children to the basics of a vinyasa flow yoga practice. Using the element of fun, teens, tweens and children are invited to explore within a safe environment the connection of movement with breath. A full body and mind awareness is developed through the programme using music, games and class themes which instill confidence and promote self discipline. The practice of yoga increases strength and flexibility which translates to better attention, focus, coordination and balance. A healthy and flexible spine is nurtured through our practice which strengthens the nervous, circulatory, digestive, endocrine, respiratory, skeletal and muscular systems in developing bodies. 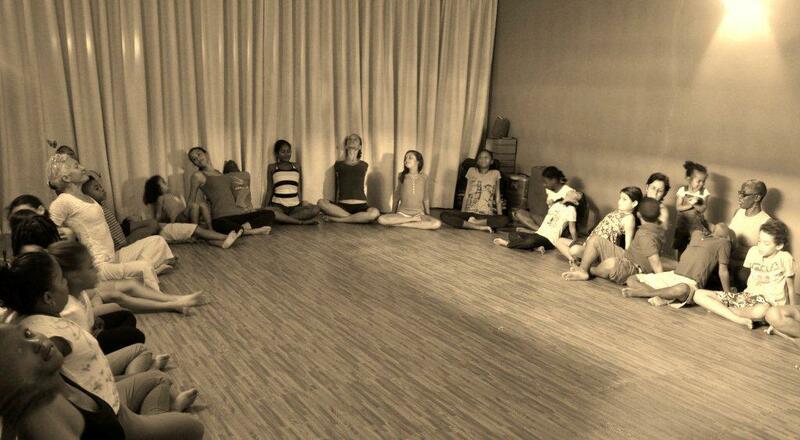 Yoga for Teens, Tweens and Children builds a foundation for a healthy and happy life. Teaches the fundamentals of yoga and is designed to introduce beginners to the basics of a vinyasa flow yoga practice. You will receive individualized attention as you gain flexibility, strength, focus, coordination and balance as we explore alignment in the asanas and sequences. A full spectrum of asanas is included , such as standing, seated, supine, core strength, back-bending, balance poses and sun salutations. The relationship between movement and breath will be emphasized as well as introducing pranayama (yoga breathing) and relaxation techniques that complement stress relief and overall well being. A well rounded vinyasa class for those familiar with the basic asanas emphasizing the connection between the asanas and breath and alignment. Slower paced than vinyasa II and allowing ample time to enjoy each asana, you can expect to increase flexibility and strength as well as enjoy relaxation and an overall sense of well being upon completion. This class is designed for those experienced in yoga. The pace is energetic yet comfortable as we move through sun salutations, flow sequences and core movements coordinated as always with breathing and proper alignment. There are more variations within asanas which may be presented in a more challenging way than in Vinyasa I, but this class also incorporates a full spectrum of asanas, making it a well rounded, strong, vinyasa class, that will invigorate and refresh you. Deeper breathing techniques are introduced in this class. All classes end with yoga nidra which is an ancient technique of self exploration and inner growth through deep relaxation. This deep inward practice consists of a guided mediation that leads one into a direct experience and observation of the ever changing tides of one’s consciousness. This technique, which is being used world wide by therapists and yoga instructors, not only releases muscular, emotional and mental tension, but connects us with our true and authentic self while enhancing memory, learning capacity and concentration, and awakening creativity. It is indeed a much needed practice in today's busy world where we so rarely deeply rest and relax, and come into a state of being. Our yoga classes welcome all, including those with limited mobility. The chair yoga class is specially designed to include a wide range of yoga asanas (postures) modified so that they can be done either seated in a chair or using the chair for support, with no risk of injury. These modifications make yoga accessible to those who have difficulty standing or who have limited mobiity. While seated on a sturdy chair, the student performs a number of twists, hip stretches, forward bends and mild backbends. Focus is also placed on breathing techniques which help promote relaxation of the muscles. The class lasts one hour and offers many of the same benefits as traditional yoga classes such as building muscle tone, stress reduction and stimulation of the mind-body connection. The powerful connection between movement and brain development in infants and children is well documented. Physical movement stimulates parts of the brain that are responsible for cognitive function, like reading and math. There is no better time than from the moment a child has confidently mastered his/her first steps to introduce them to the world of movement through yoga. At our tots & nen-nen class, our young students, attended by their mothers or other guardian, go through a 45 minute session of movements, songs and story telling. Each session flows through a series of songs that subtly encourage the tots to bend, dip and move as they develop body awareness, language, good listening skills, cooperation and powers of observation. After a class of play, movement, singing and fun, the tots receive a soothing foot rub which is both calming and stimulating. Pre Natal Yoga (also known as pregnancy yoga) allows the pregnant mother to 'slow down' by allowing her to dedicate 1 hour and 15 minutes to herself. During pregnancy, a woman's body undergoes many hormonal, muscular and other physical changes that can often result in some discomfort. Prenatal Yoga helps and encourages women to adapt to these changes in a positive manner promoting positive growth. The yoga stretches and poses help in strengthening the birthing muscles, improving blood circulation and reducing backache and anxiety. Postpartum yoga quickens the recovery process. Restorative yoga is a practice for everyone interested in exploring a practice of self care. It provides a platform for nurturing and supporting ourselves by soothing our nervous system with our breath and calming our digestive system with poses supported by blocks, blankets, bolsters, and other props to provide maximum comfort which will encourage regulation of our circulatory systems as we fully let go, creating space. Poses are held longer bringing a greater body awareness and sense of self. These simple, easy, slow movements on the floor stimulate reflexes that quiet the brain and heart. A great practice for healing body, soul and mind. Stress Relieving Deep Relaxation & Sound Therapy is a practice of yoga nidra followed by a sound bath ... a great healing and nurturing practice. You will be guided into a deep relaxation bringing you to a space of healing and nurturing. You will be immersed in the element of sound - a sacred sound bath using gongs, singing bowls, ocean drums, rainsticks and chimes. A great practice to bring body, spirit and mind into alignment. Meditation is an approach to training the mind, similar to the way that fitness is an approach to training the body. Learn pranayama techniques, mudras, mantras and experience yoga nidra for a completely restorative practice. Suitable for all levels. Beginners welcome. Visit our Schedule to see our latest class offerings. The drop in rate for Children's Classes is $45 and for Tots and Nennen, $60.